Chicken Quotes takes a colourful look at our feathered fowls. Nobody here but us chickens, cluck cluck... 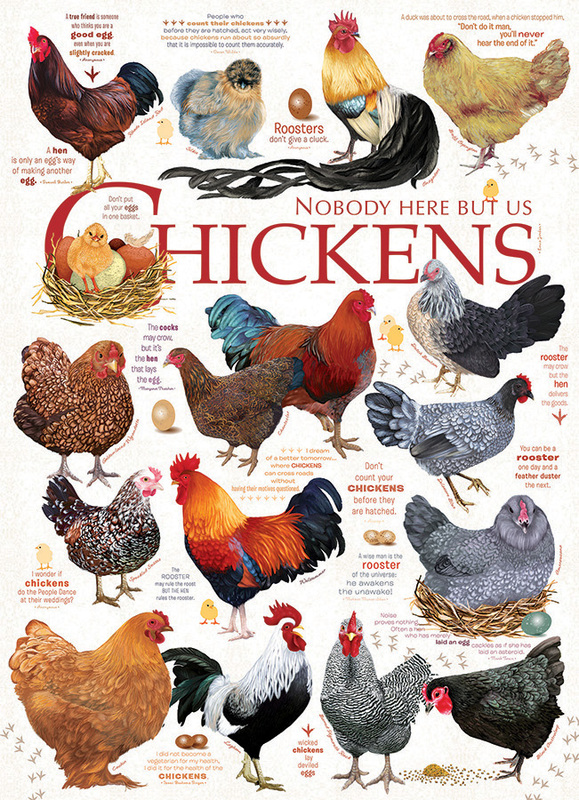 Enjoy the funny ramblings of chicken sayings as you complete this 1000 piece puzzle! Item # 80120 Weight 1.61 lbs.